For the last couple of weeks we have been considering the harbingers and heralds of spring, plants which foretell, predict, and prophesy springs soon rival. These are plants that bloom in late winter, well in advance of spring, but tell us that its arrival is just at the door. This week let’s consider a whole group of plants that, taken as a whole, are a “Horticultural Greek Chorus” singing out with dramatic flair that spring is soon coming. Ah, the world is a stage for us gardeners, a stage for our dramatic and decorative art. Often a play or opera needs the aid of a chorus. In ancient times a chorus was used to inform the viewer with needed information. It was a theatrical device that filled the theater goer with joy, dread, or fear. Instead of trying to stage a war scene the chorus would merely declare and sing of the battle, its struggle and outcome. All this was done in words and song. The first narcissus in the play is the jonquil (Narcissus jonquilla). These are wonderful little plants, very common here in East Texas having dark green, reed-like foliage and clusters of three to five diminutive, yellow blooms per stem. These produce viable seed and will easily naturalize themselves. Flowerbeds and sidewalks that are outlined with these blooms will get ‘fuzzy’ after a time as the bulbs slowly naturalize and spread. The Early daffodils or Lint Lily should get some praise in our play’s handbill (N. pseudonarcissus) are the showiest of these four. They have creamy, pale yellow petals with a bright yellow center ‘trumpet’. These will also set seed and naturalize themselves. This daffodil is the subject of Wordsworth’s poem “I Wandered Lonely as a Cloud”. My friend Greg Grant will always quote this poem, if you give him half a chance. It’s my view that it’s good to be around people who quote poetry. It’s a sign we are becoming barbaric that so few of us have time for poetry these days. The Campernelle jonquil (N. x odorus) is a cross between N. jonquilla and N. pseudonarcissus. The Campernelle is a sterile hybrid, so it doesn’t re-seed itself; it will stay put. Campernelles seen around old home sites are there because someone put them there. When we speak of bulbs as the “bones” of old gardens, the Campernelles are exactly that. You can often see very strict lines of these bulbs in pastures where there were once old home sites. They do well in the clay soils around my house. Their blooms are fairly untidy, but Campernelles are some of the steadiest and brightest blooming plants in Texas. Finally, let me mention the Texas Star jonquil (N. x intermedius). 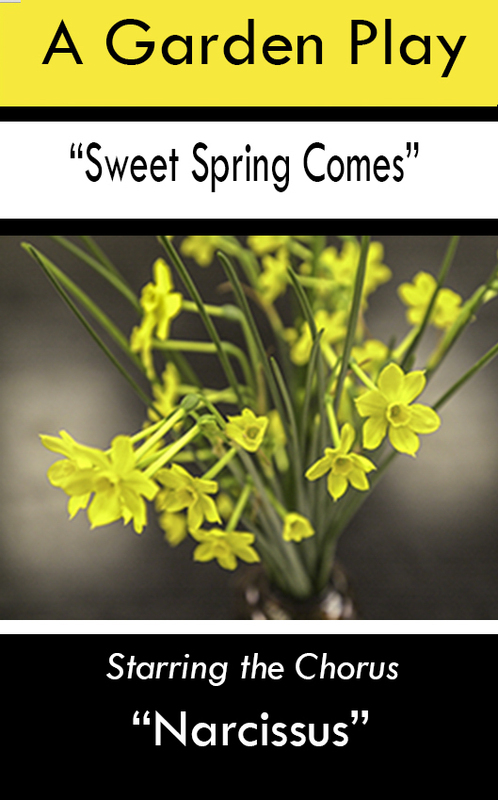 Clusters of pale yellow blooms appear on short stems among the dark green foliage of this common East Texas jonquil. This bulb is a hybrid of N. jonquilla and the Paper White, N. tazatta. Again, since it is a hybrid, it is also sterile. It is a sturdy child of its two parents, having the qualities of each- dependability and beauty. Daffodils can be permanent fixtures in a landscape. An essential point in culture is to allow the foliage to stay at least six weeks after the bloom, which brings us to the reason we see so little of these bulbs in modern gardens. We are unwilling to put up with the untidy foliage after their blooming season, so the key to these plants is to have them in out of the way places where you won’t mind their untidiness or plant them among plants that will grow up and hide their foliage in the spring. The genus Narcissus has been brightening late winter days forecasting spring days here in the South since the very beginnings of European settlements. They are dramatic players in a Horticultural Greek Chorus and sing of spring, year after year with fanfare. I would encourage you this spring to take several drives down old country lanes and stop to take a closer look at these bulbs and listen for their song! This entry was posted in Gardening, Leica, PHOTOS, Uncategorized, WORDS AND PICTURES by Jeff Abt. Bookmark the permalink.